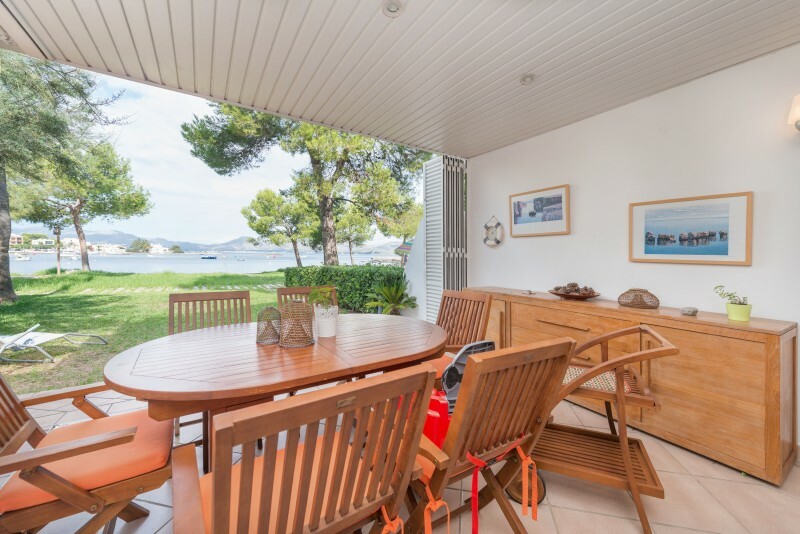 Discover one of the most beautiful villages in the island in this picturesque house for 2 people in the centre of Alcudia. This house offers a beautiful patio which includes a well, where you can make life outdoors on the hottest days and enjoy lunches and dinners under the vine arbour. It also counts with a comfortable exterior dining table where you can relax and disconnect. The house is within the pedestrian area of the village and has neighbours around. This house has 90 m2 and one single floor. We enter the living room from the patio which features 4 armchairs to rest while watching TV. The dining table is by them and it can accommodate 4 people. The room offers also a wood stove for the coldest days. We access the kitchen from here. The kitchen is independent and it exits to the patio. It is well equipped offering a gas stove and oven, an electric coffee maker and a microwave. It also counts with a table and two chairs to prepare and enjoy breakfast. You will also find a washing machine, an iron and an ironing board in the house. 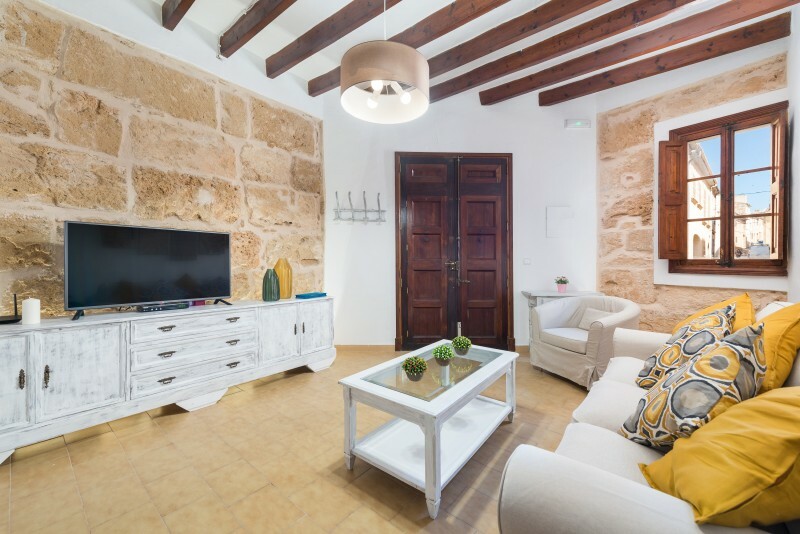 One of the most characteristic elements of this kind of buildings is the great hall where elements of the traditional Majorcan architecture have been respected like, for instance, the stoned floor or the arch to access the living room. We get into the only bedroom from this hall, and it offers a classic style double bed and wardrobe. If you are travelling with a baby we can prepare a cot and a high chair. A shower bathroom completes the accommodation. 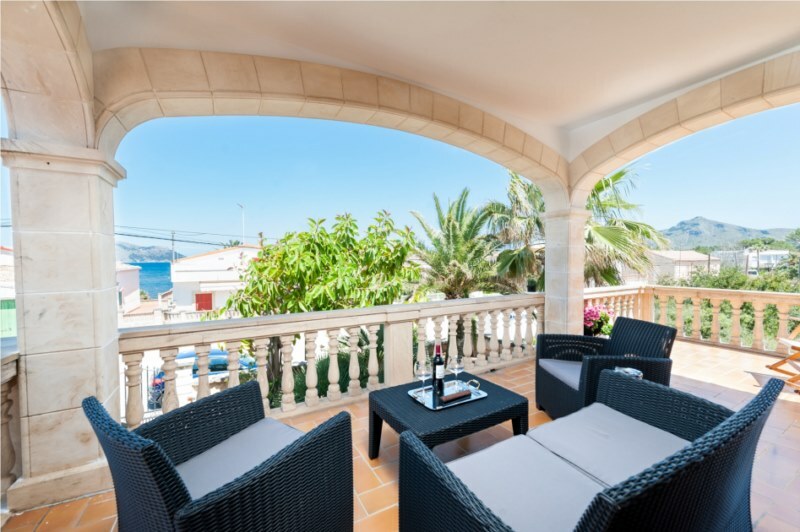 In addition, you can access the superior terrace from the patio. 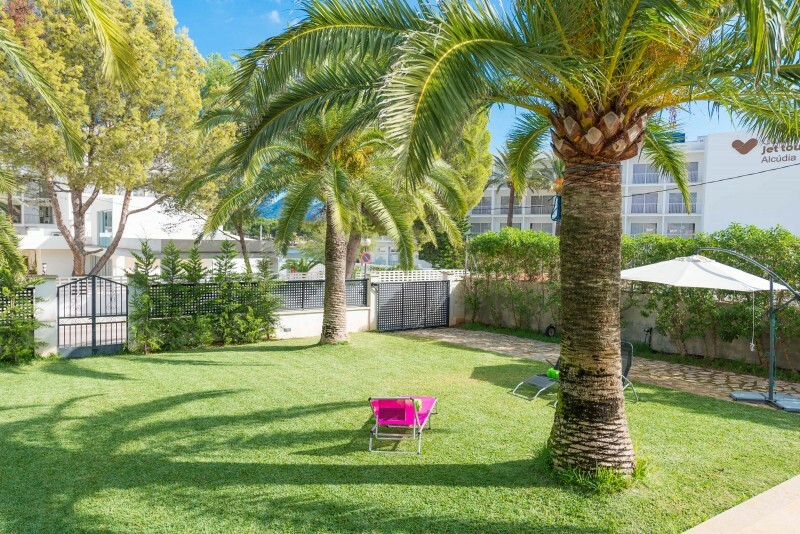 There, you can sunbathe on one of the sunbeds or admire the wonderful Majorcan starry sky at night. The rest of the first floor is closed. 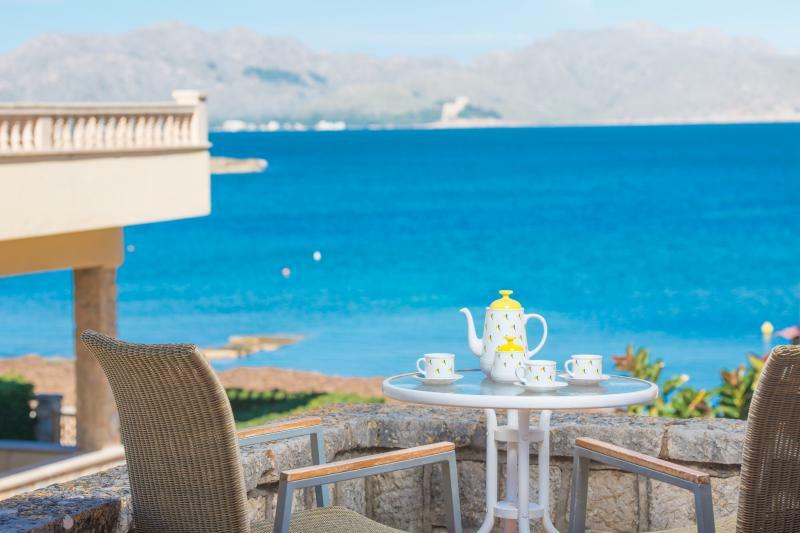 Without a doubt, Alcudia is one of the best vacation destinies in Majorca. 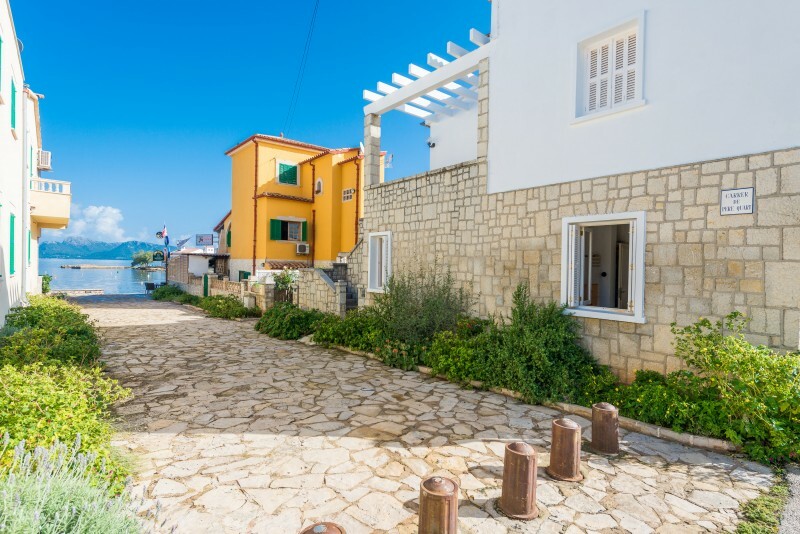 Here, you can become imbued of the island way of life and traditions being at the same time in one of the most lively areas, with plenty of shops, restaurants and all services you may need. On Tuesdays ans Sundays you can have a walk along the great street market throughout the walled village. The rest of the days you can visit the nearby beaches like Puerto de Alcudia, Mal Pas, la Victoria or La Marina. If you are a golf lover don't forget a visit to the golf course in Alcanada with impressive views over the sea. Ich würde dort nicht nochmals buchen.